Preheat oven to 450 degrees. Place all dry ingredients except for 1TB of the sugarin a large food processor. Quickly pulse to mix. Add the butter, and process until the mixture is the consistency of coarse crumbs and the butter is thoroughly blended. Pour into a mixing bowl. In a separate bowl, beat together two eggs and the cream. Add to the dry ingredients and combine. 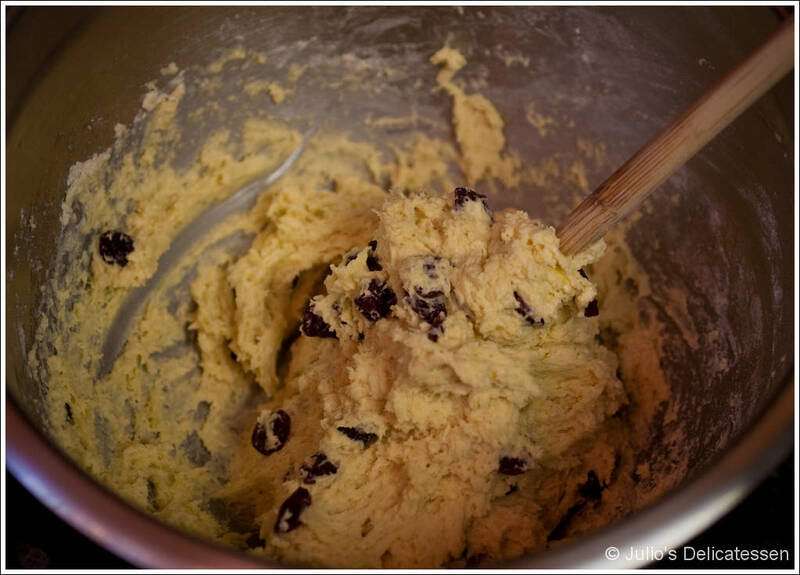 Add the cherries and stir as few times as possible to integrate them into the dough. 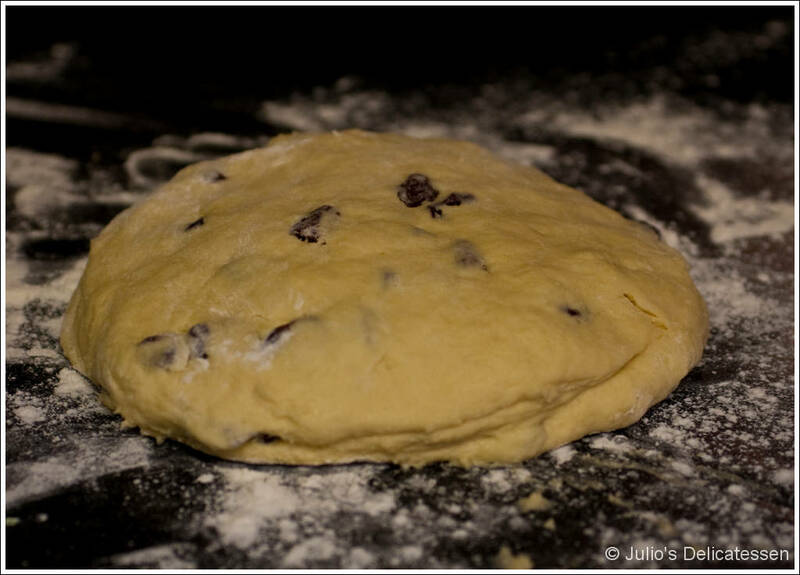 Scrape the dough onto a floured work surface. 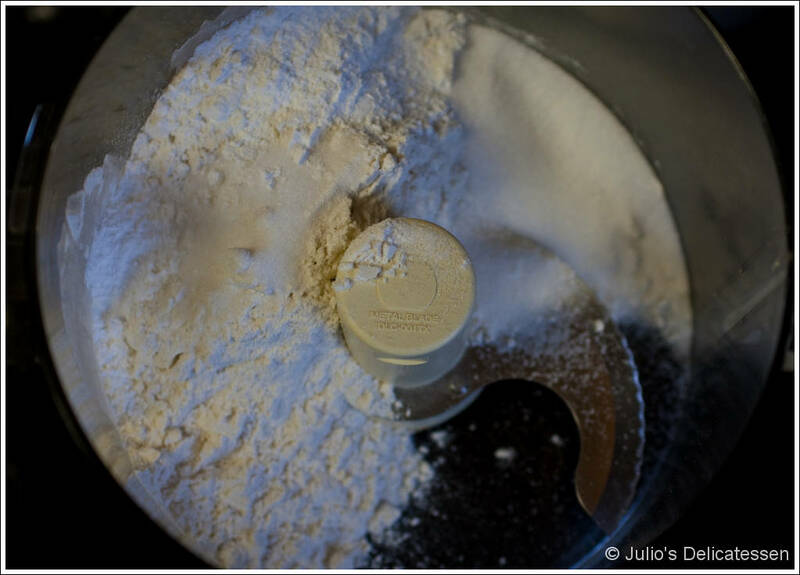 Knead ten times maximum, adding more flour if necessary to keep it from sticking excessively to the surface. (It will still be sticky.) Using your hands, press it out to form a ¾ inch thick sheet. 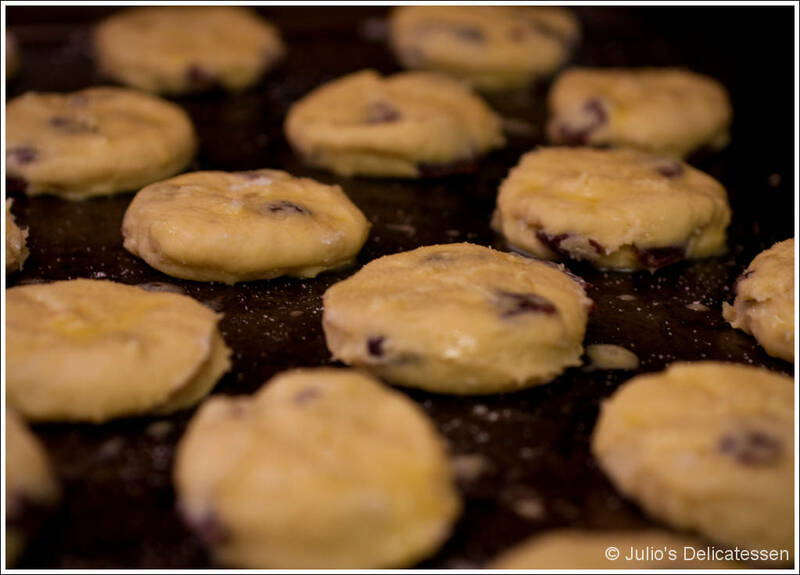 Using a biscuit cutter (or a juice cup or whatever), cut 2” diameter rounds, placing on an ungreased cookie sheet. Reform the remaining dough into a ball, re-flatten, and cut some more until all of the dough has been cut and placed on the cookie sheet. 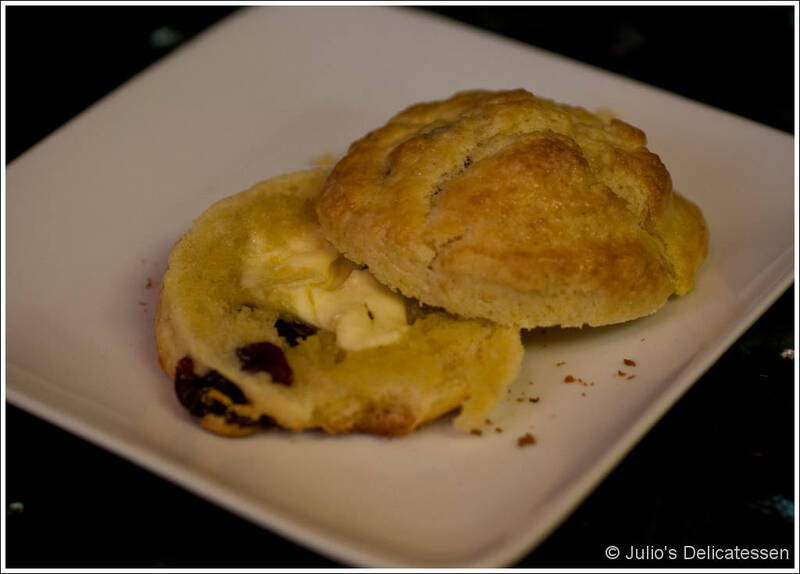 Beat the remaining egg with 1Tb water and brush the top of each scone. Sprinkle some sugar on each one, then place in oven. 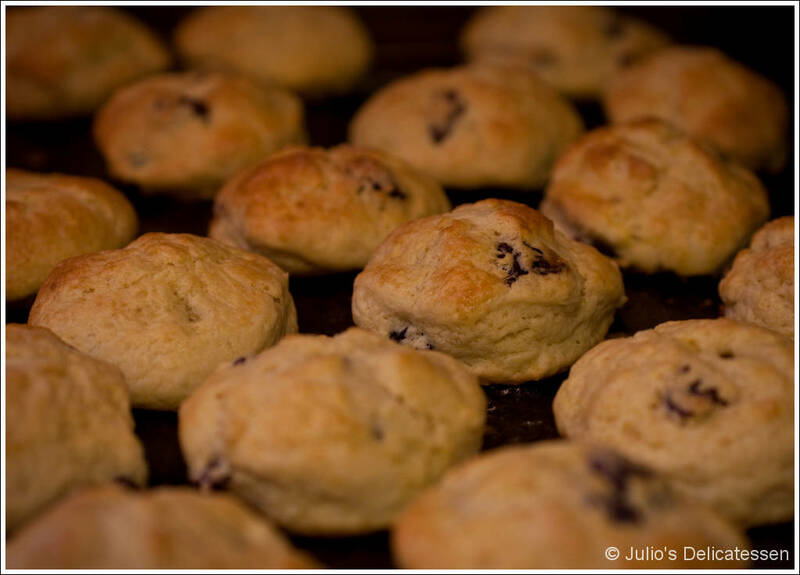 Bake for 7 – 10 minutes or until tops are slightly browned.